Accurate contracts and specifications between builder and contractor are among the most important tools in attaining complete, high quality homes. Quality checklists work in conjunction with your contracts to guarantee that your contractors and field personnel implement and enforce the contract specifications in the field. They can also be a valuable tool then training new personnel or contractors. 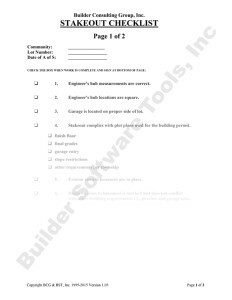 The use of construction checklists should reduce any callbacks or poor workmanship issues that you may have with your contractors. If the work is completed correctly the first time, the cost savings for your company and your contractors can be substantial. 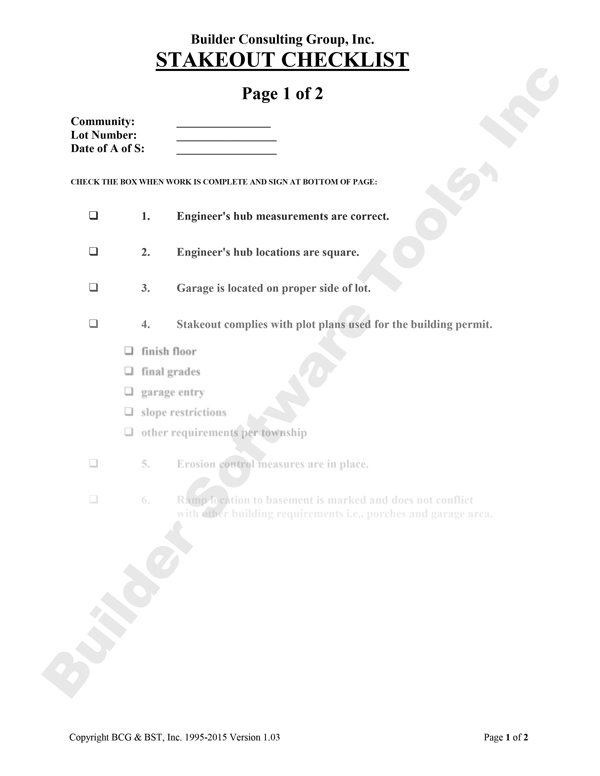 In addition, using checklists that are submitted with invoices or PO helps to improve the level of quality among all the trades as a normal part of your construction and bill paying process. Check lists provide a baseline to manage and can be changed by your managers as deemed necessary.